Centuries before PETA campaigned for animal rights, the fur trade built America. We hear the remarkable history of how fur shaped a nation. What first built America? The Bible and the beaver, said an earlier historian. 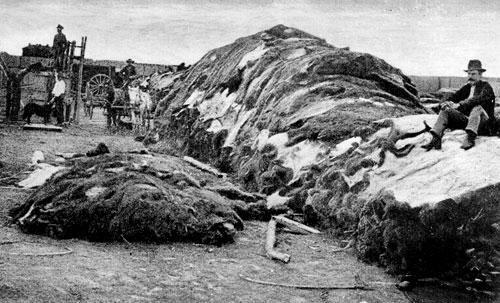 My guest today is laying out the remarkable history of the American fur trade — how three centuries of trade in beaver pelts, and sea otter and buffalo, opened up mile after wilderness mile of the American continent to European settlement. Today, fur draws a complicated reaction. For 300 years, it drew explorers, traders, trappers, mountain men. It drew political lines and battle lines - and built some of the biggest fortunes in American history. This Hour, On Point: fur, fortune, and the origins of North American empire. Eric Jay Dolin, author of "Fur, Fortune, and Empire: The Epic History of the Fur Trade in America." He also wrote "Leviathan: The History of Whaling in America." You can read an excerpt. He's a former program manager at the Environmental Protection Agency, and a former policy analyst at the Marine Fisheries Service. Mac Burns, executive director of the Clatsop County Historical Society in Astoria, Oregon. This program aired on July 19, 2010.